Winter has come at last with Capcom adding to the Street Fighter V roster by rolling out the brand new ice-based character, Kolin (pronounced similar to the name Colleen). While Kolin has already made a cameo appearance in Street Fighter III: New Generation, this will mark her very first playable appearance. Capcom has released a hype trailer showing Kolin’s moves as she sends her opponents to the cooler. As you can see, Kolin throws a pretty cool party. She has been bestowed with the powers of ice manipulation and her condition has left her cold to her opponent’s pleas of mercy. 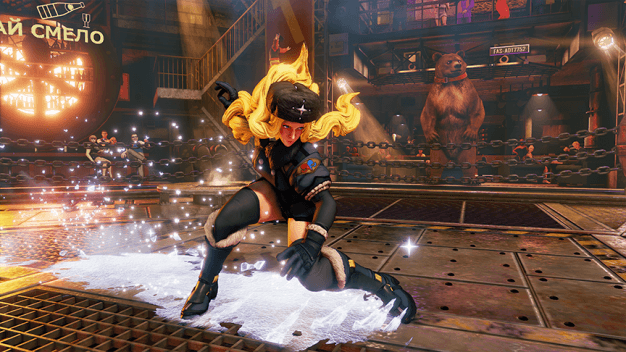 Kolin can give enemies the cold shoulder as she unleashes flurries of punches, an ice cold teleportation move, as well as a sliding kick with ground damaging icicles. This fighter’s forecast: a freeze is coming. Alright everybody, chill, because on February 28th, the ice woman cometh as a part of the new Season 2 Character Pass for Street Fighter V. Currently the Season 2 Character pass includes Akuma, Kolin, and 4 yet to be revealed characters. This season pass is selling for the price of £24.99/€29.99/$29.99. Along with the characters, season pass holders also receive premium battle costumes and costume colors, as well as an exclusive PS4 theme. You can check out our review of Street Fighter V here.